Coming soon-Blood is Blood by Will Thomas – Joyce's mystery and fiction book reviews with some non-fiction too! I am waiting to read this one. What you see below is courtesy of the publisher. 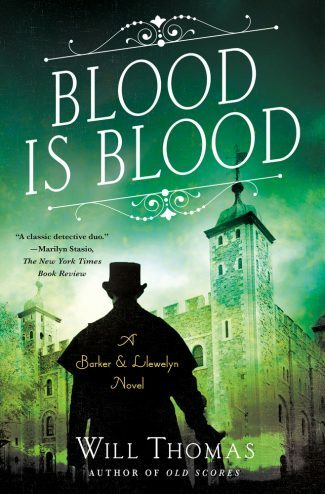 In Blood is Blood, a bombing injures private enquiry agent Cyrus Barker, leaving it up to his soon-to-be-married junior partner Thomas Llewelyn to find the person trying to murder them both before it’s too late―in the newest mystery in Will Thomas’s beloved Thomas Llewlyn series. With time running out―and his bride-to-be reconsidering their marriage―Llewelyn must (with the sick-bed bound Barker’s help) uncover the killer and the plot before it’s too late.